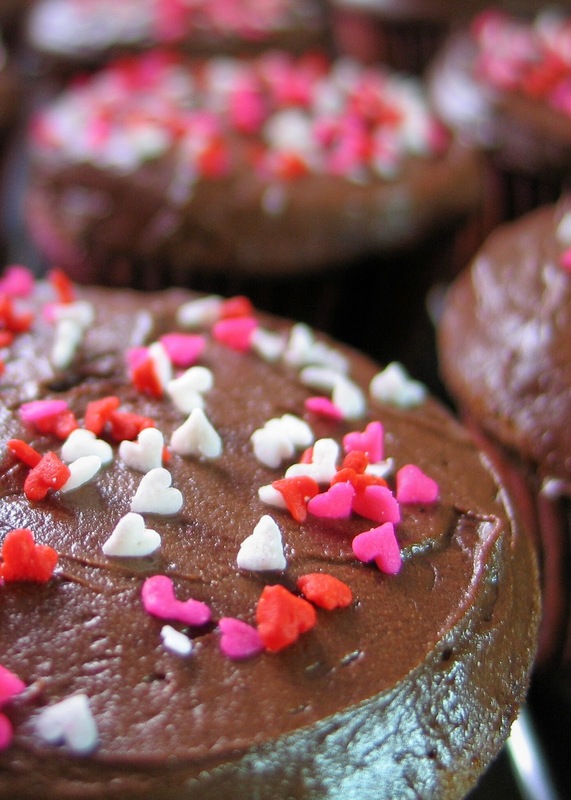 My idea of a Valentine Cupcake- to my mocha cupcake batter, I added a cup of dark chocolate mini morsels. 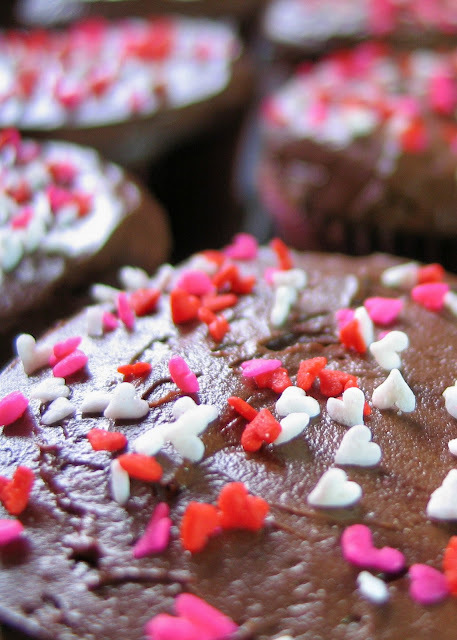 Then after they are thoroughly cooled, I slathered on a layer of chocolate ganache over the cupcakes and sprinkled them with heart-shaped candy sprinkles. Hope your Valentine's Day was happy!